Sea, Sand & Sky: Checking in from Piers Park! Greetings from Piers Park! 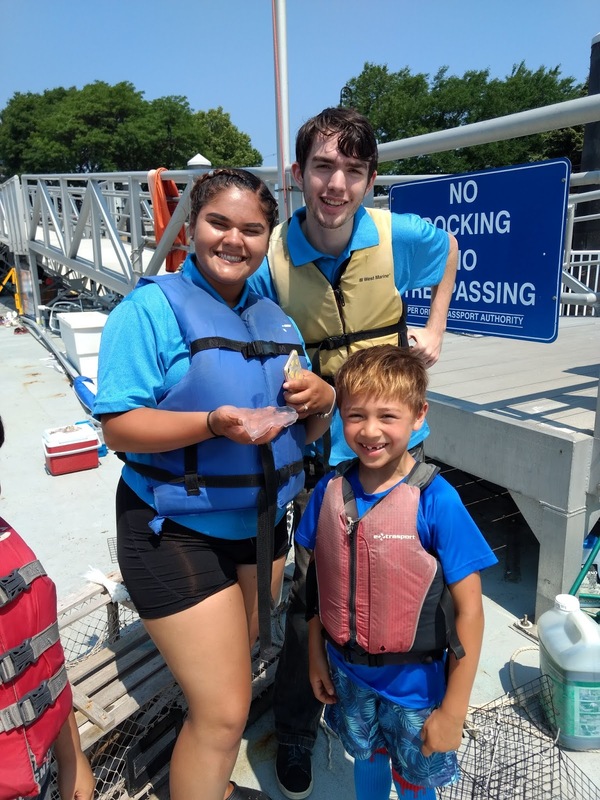 We have been having an excellent time so far at our main site in East Boston, as well as the two additional sites we visit once a week: Courageous Sailing in Charlestown and Community Boating, Inc., located downtown. Working these sites has been really engaging and keeps things interesting and fresh – I love getting to work with different programs and different groups of kids during the course of the week while at the same time building relationships with the students we see on a more regular basis. And of course, it has been a blast working with and getting to know the JPAs and LHEs! Since I’m new to the program, I find it so helpful getting insights from and hearing the perspectives of the people who have been a part of the program before; I might be teaching them something about marine science but they’re definitely teaching me about how to effectively navigate Boston public transportation! 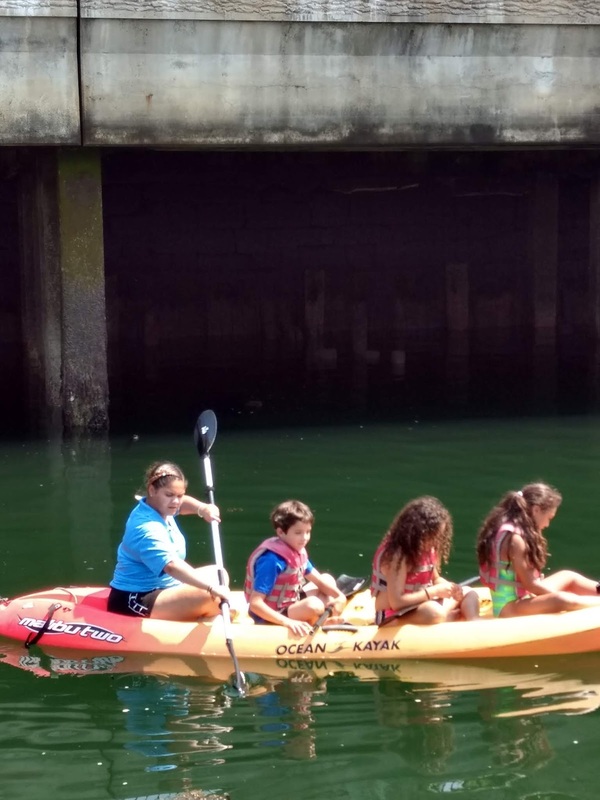 All of the programs that we are working with place a strong emphasis on environmental stewardship, which is something that I am so happy to see being instilled in Boston’s youth. So far we have assisted with and led lessons about the importance of recycling, conservation, pollution, urbanization and (of course – as I promised) the importance of plants! Our fishing and crabbing program also has led to awesome discussions about overfishing and invasive species. I am super impressed with the environmental and scientific literacy of the children we are working with. Often a question I’m sure will stump them is able to be answered with ease! It’s so important not to underestimate the intelligence and awareness of children, something this program has been constantly reminding me! But it’s not all lesson plans… we have also been having lots of fun exploring the Harbor. Isn’t that what the summer is all about?! I have been getting a kick out of watching the kids are Piers Park and our JPAs take to the Harbor in kayaks every day. The kids are crazy about them – even when they come dangerously close to tipping (not to worry, though – everyone is life jacketed and so far we’ve had no mishaps)! These more playful moments have also lent themselves to learning; while our fishing luck has been less-than-ideal, we have found tons of moon jellies around the docks at Piers Park. Observing these organisms has been a great opportunity to talk about invertebrates (organisms with no spine) and why jellyfish are often seen in high numbers in areas that heavily impacted by humans (if you’re curious: check out Jellyfish Joyride, an informative article and my favorite title for a science write-up, possibly ever). Plus, any opportunity to touch something squishy and slimy is a win! On the whole, we have been having a great time at our sites! I am looking forward to learning and growing with our staff and with the students in the programs we serve. Luckily, we have lots of original programming at our sites, which has given me the opportunity (and challenge) to flex the creative side of my brain and come up with some fun and educational activities. Check back in a few weeks to get a rundown of the fun lessons we’ve planned, but until then, I’ll see you on the Harbor!